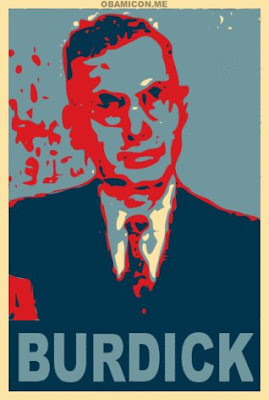 My good friend Andrew of the excellent cardnewsblog (yeah, it's all one word) Sports Card Info has informed me that my one-man campaign to get the greatest card collector who ever lived, Jefferson Burdick, onto his own baseball card has been successful. Sort of. It ain't gonna be in Topps and it won't be the set Jeff deserves to be in (Allen & Ginter), but instead it'll be an unlicensed Minor League product: 2010 Tri-Star Obak. But hey, it's better than nothing! Looks like I'm buying me some OBAK!